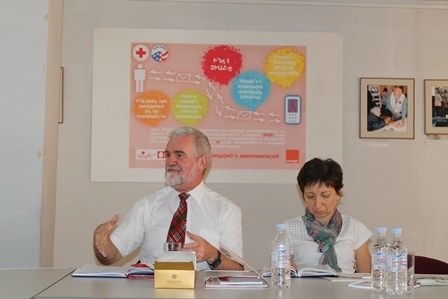 On 25 September, Donatus Kock, the Deputy Director of Europe Integration Foreign Affairs, Federal Ministry, Republic of Austria and Representatives of Austrian Development Agency in Armenian and in Georgia visited Armenian Red Cross Society. 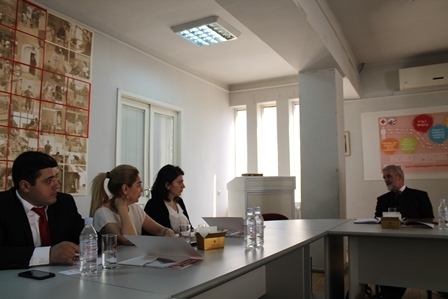 Dr. Anna Yeghiazaryan, ARCS Secretary General, welcomed the guests and presented the past 95 years of activities of ARCS, strategic directions, strengths and weaknesses. - Active period of National Society activities started in 1988, after the Spitak earthquake. National Society has developed significantly, and soon we passed from the provision of humanitarian assistance to development projects. 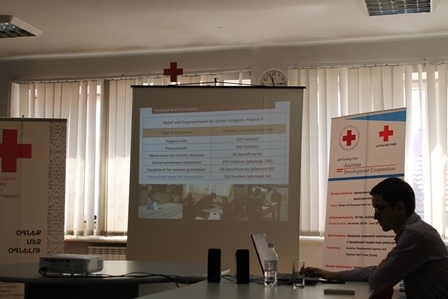 As for Population Movement Direction, I should note that since 2012, when the inflow of Syrian Armenians had begun, they were involved in the projects funded by the UNHCR. 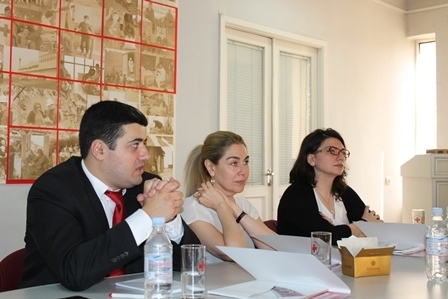 Afterwards special projects were developed for Syrian Armenians, and the major role here had the Austrian Development Agency and the Austrian Red Cross. I would like to emphasize, that their support gave us the opportunity to expand our activities and provide new services to our beneficiaries, for which we are grateful. -At the moment for about 18 000 Syrian Armenians arrived, 5500 are registered in ARCS. 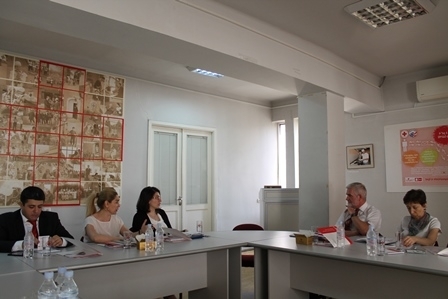 Since 2013, three phases of the project Relief for Syrian Armenians have been implemented, also Promoting integration of Syrian Armenians project is in process now, the component of economic integration of which is very important for us. 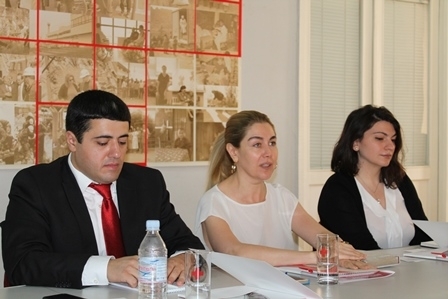 It will enable Syrian Armenians to implement joint business projects, and specially created website for Syrian Armenian specialists, will set up communication between employers and job seekers, and employers and employees will be able to find each other much easier. Mr. Kock was particularly interested in the system of involving and motivating volunteers, in cooperation of ARCS with the government agencies and the private sector. Talking about the continuity of projects, he said. -Although European countries including Austria, today are experiencing difficulties, because of the migrants inflow, taking into account the effective cooperation with ARCS, I think it will be continuous, and we will support the further integration of Syrian Armenians.